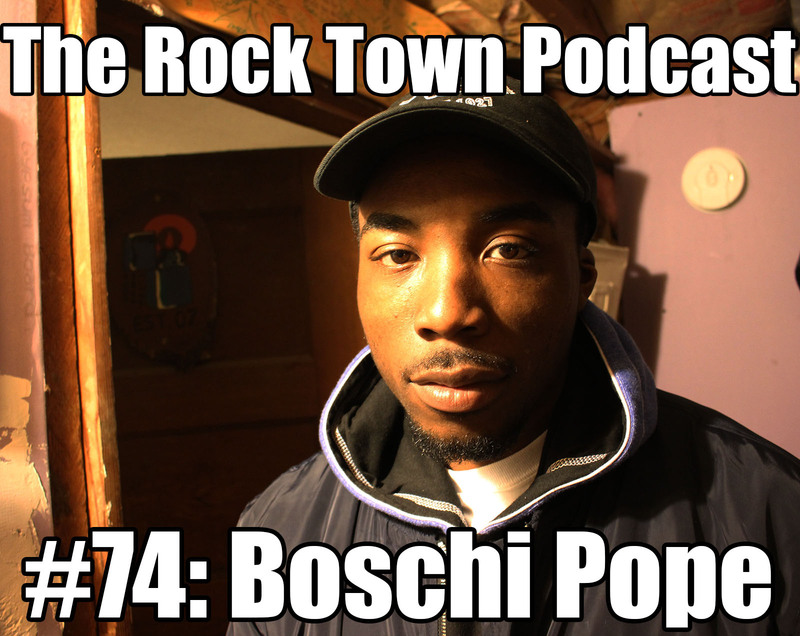 Boschi Pope was out filming in the Bay and swung by to record a podcast. Boschi is a New York City skate legend. In August, he hosted the Boschi Pope Skate Off at the Hamilton Bridge Skate Park next to the Harlem River. It was a month after his release from an eight-year prison sentence. Lots to talk about there. Huge thanks to our supporters on Patreon: Trudy, Dustin, Edward, Jose, Nate, Steve, Alexander, Zach, Basti, Jon, Levi, Sean, Brad, Ivan, Randy, Jeff, and now Brad Anthony. Want to support the Rock Town Podcast? Become a Patron! Don’t forget to like our stupid Facebook page so you don’t miss the latest episodes, relevant links, and updates about our growing list of guests. P.S.—I’ve also written a few books, which people don’t seem to hate. Use the promo code BLADING for 20 percent off your entire order from our Big Cartel site.